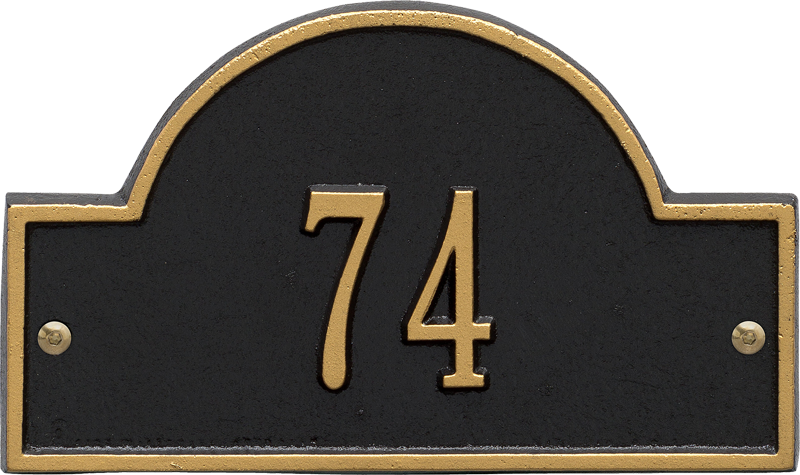 The Arch Marker Petite Wall Address Plaque will accentuate your home's exterior with elegance. The address plaque is made from rust-free cast aluminum providing excellent quality. The plaque has a stylish arch shape. Arch Marker Address Plaque (Wall) 4.75" x 8"
Max. 1 line of text, holds up to six, 2" characters. Arch Marker Petite Wall Plaque Beautifully done, shipped ahead of schedule, made in the USA, - so happy w/it!